If you are one of those who loves to use Rough and tough Smartphones then you probably aware with Samsung‘s Galaxy S Active smartphones, it looks like you may have a newcomer to the lineup to look forward to. There have been rumors that Samsung is been working on a Galaxy S8 Active, so it isn’t too surprising to see a handset that may be just that popping up at the FCC. The filing for the device includes an image, which you can see in this post, which shows heavy duty protection along the outer edge of the phone. We also get a clear look at Samsung and AT&T’s logos. That bumper-style case is the prime giveaway that this is a new Active handset, and the placement of the camera flash, camera, and fingerprint reader on the back is a dead giveaway that this is a Galaxy S8 variant. 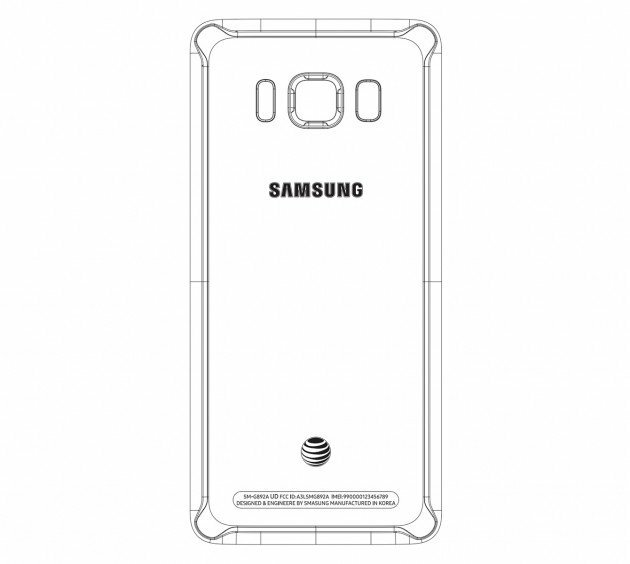 The AT&T logo on the back, with the Active lineup being an exclusive to the big blue carrier, only lends credence to this being a Galaxy S8 Active. The FCC entry indicates that the phone is model number SM-G892A and that it supports Bluetooth, LTE, NFC, MST (which points to Samsung Pay support), and Wi-Fi.